This post was originally published on the Monitor Institute’s Working Wikily blog. The key themes of the 2012 Social Impact Exchange were all about collaboration. Collective intelligence. Community solutions. Needle-moving collaborations. Collective impact. Much has been made of this new brand of collaboration and it was clear at SIEX12 that many of us who spend our days (and nights) looking for ways to scale solutions to our most vexing social problems see enormous potential in this approach. So, we have to ask, why bother? Why not be content with other models for scale – replication of proven programs? Advocating for policy change? Disseminating curricula and training programs to spread new models? As Ben Hecht from [Living Cities](/) put it so well on the first day of the conference, because collaboratives create “differential impact” that enable groups to do more with less, get to new solutions more quickly, and grow them exponentially more quickly than any individual organization could do alone. 1. Keep the problem at the center – Lance Fors from SV2 shared this important advice that can often slip out of our field of vision. Unlike for-profit businesses, we are solving a different set of problems, and we have to understand that as good as our organizational solution may be, it is inevitably missing something. If we are a community group, we may be re-inventing the wheel instead of building off a model that’s been successful elsewhere. If we have a national program, we may have blind spots around how to adapt our model to best meet a community’s specific context. However, if we keep the problem – and not our limited individual solutions – at the center, we create the space necessary for bigger and better solutions. 2. Figure out where you can disrupt the gears of the current system – In his opening keynote, Patrick McCarthy, president of the Annie E. Casey Foundation, spoke passionately about AECF’s efforts to support change in the juvenile justice system. Critical to the success of these efforts was their willingness to work within the system, looking for leverage points to focus their efforts, such as reforming pre-trial detention decision making processes to better identify young people who truly were a danger to others. Too often, we default to focusing on workarounds to broken systems rather than focusing on specific leverage points that could expedite change. Working collaboratively can help us see the full system more clearly so that we can determine where we can productively disrupt these systems to work better for us all. 3. Look through other eyes – “People will go to great lengths to do what makes sense for them.” This reminder, also from Ben Hecht at Living Cities, made me reflect on how little time we spend on understanding the realities, hopes, and desires of those we are trying to help, compared to making assumptions about how best we can meet their “needs”. Of all the practices we’ve ported over from business in the last 20 years, we’ve paid scant attention to the highly sophisticated market research and marketing methodologies that can provide insights into the nuanced aspects of how we make decisions and why we do what we do. We can, and should, apply these insights to our work to create more practical, demand-driven solutions. Shifting away from a needs-based, supply-driven mindset can help those we are trying to “serve” become part of their own solution. Perhaps my biggest worry coming out of SIEX12 is this: given that working collaboratively is messy, time-consuming and hard, how do we prove that this next-generation collaboration belongs in our long-term arsenal for scaling solutions? The better we get at demonstrating how groups create differential impact, the less likely the next generation approaches to collaboration will end up as just the latest next big thing. 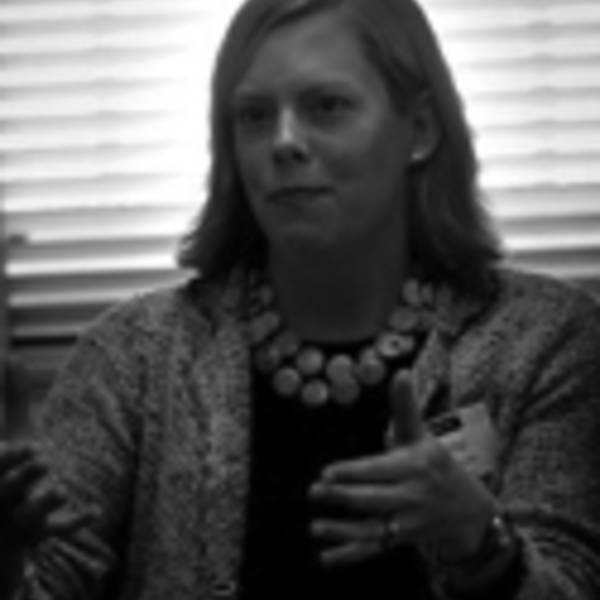 Dana O'Donovan is the Chief Operating Officer at the Monitor Institute. Dana is fascinated by the border between strategy and execution, where seemingly-mundane changes in day-to-day behavior can enable individuals, organizations and collectives to achieve breakthrough social progress. Her practice focuses on identifying opportunities, developing strategy, designing organizational and activity systems, helping organizations learn, and facilitating groups through challenging moments.